Renew the focus on savings for the first digital bank. 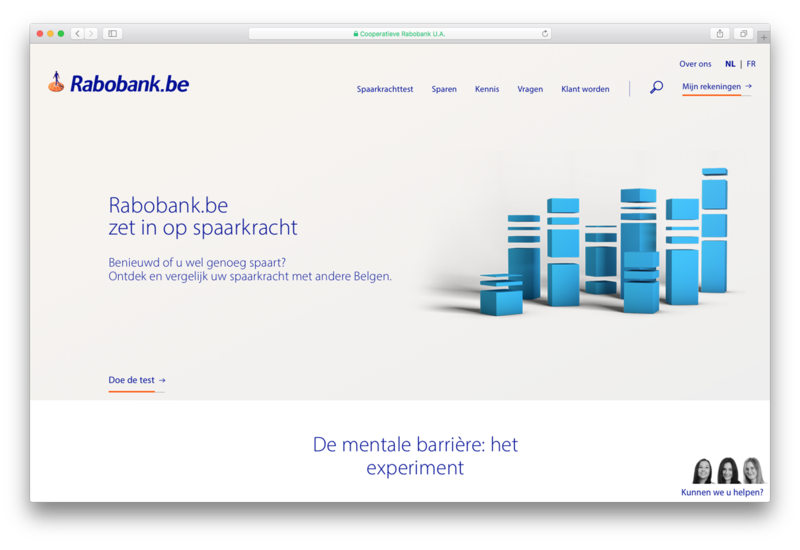 RABOBANK.BE AND BOWLING SHARE A LONG LEGACY. This case could go on for ages, but we’ll keep it to the last chapter. The one that started in 2017 when we reinvented it, although, reinventing might be overstating it, we had it evolving to a new place. The brand that offered a complex range of investment products evolved to become a pure play savings bank, focussing on a safer financial position. It urged a reorientation of our previous work for the bank. We kept to our proven strategy, one centered around the enabling of informed financial decision making based on objective information. Instead, now it is about consciously saving money, it goes beyond economic technicalities and pulls knowledge from behavioral psychology and its effects on our savings behavior. 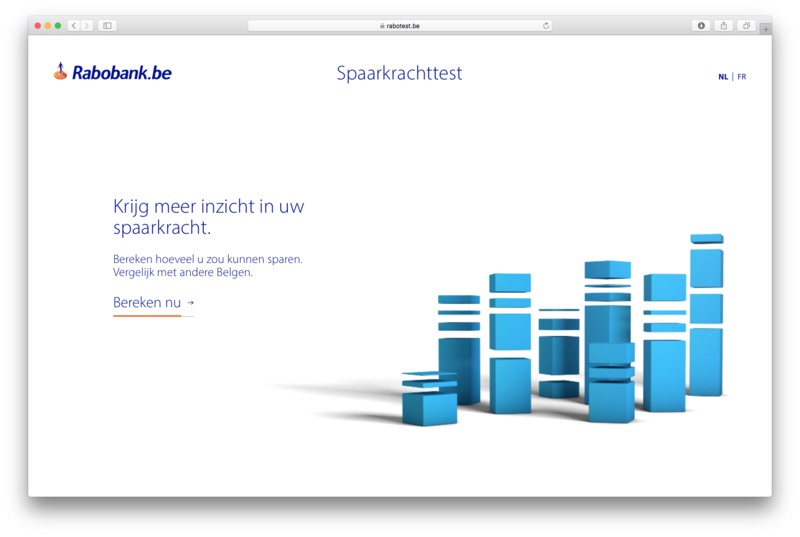 Together with the online bank we now argue that finance is a human thing, influenced by irrational behavior. We can help our clients to understand and leverage it in favor of their savings. Doubling down on our central strategic insight, we replicated an experiment that demonstrates the influence of creating a mental barrier between your ‘current account’ and your ‘savings account.’ This experiment and its result are documented in a video and distributed it in a smaller campaign, testing the waters. Next, to the video, the same insights were also translated into native advertising and radio. With a high interaction rate of and a very positive post-test, we soon discovered this insight triggered something. Make, test, and blow it up. With the insights gathered by the ‘beta-campaign’, this 2nd iteration of the campaign had to be bigger and reach a wider audience, challenging us to simplify and tell the story in 30seconds — Tv, online, Radio, Out of home and native advertising. The campaign scored above average (in post-tests) on agreeability and urged people to talk about this new notion they acquired. We also were able to convert people based on insight instead of rates, a vital turn of strategy in this economic environment. First, we needed to build all new digital channels to support this knowledge sharing strategy in a complex digital environment. Starting with a KPI measurement plan made sure the numbers go beyond marketing numbers; the content redaction team had to have state of the art reporting made for editors. Doing so involved planning for all digital channels where content is available like social media and mailings. Our clients also needed to know what’s up. To get them on the same page as us we send them a book where they could learn about daily influences on financial decision taking ‘Mind over Money’. A much-appreciated gift written by Psychologist and BBC radio reporter Claudia Hammond, who is now on the team of experts to keep the content above par and unbiased. 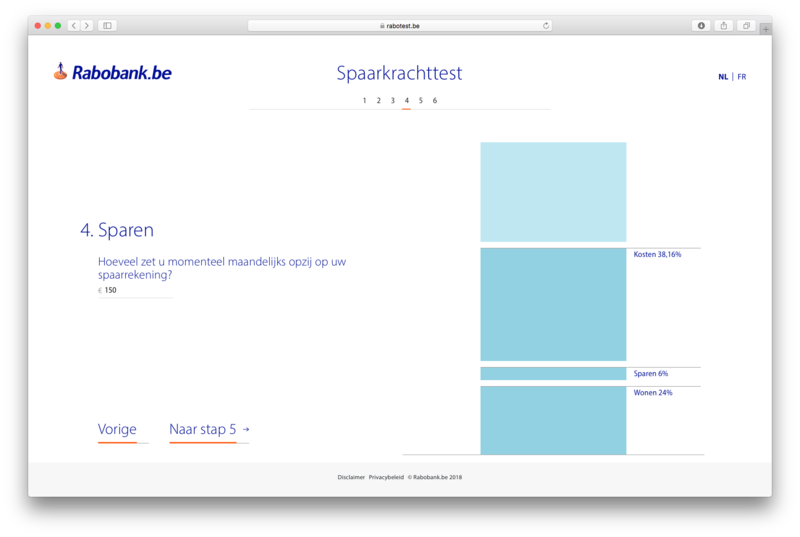 The changes in strategic direction, GDPR, PSD2 and a long history of being a mature digital bank it was decided to update everything, website, CRM, client zone, campaign tools, app, the whole 9 yards… The project is indeed a 360 program management task; everybody and their mom were involved which is stimulating for the team. As said, an undertaking like this involves a lot of partners. 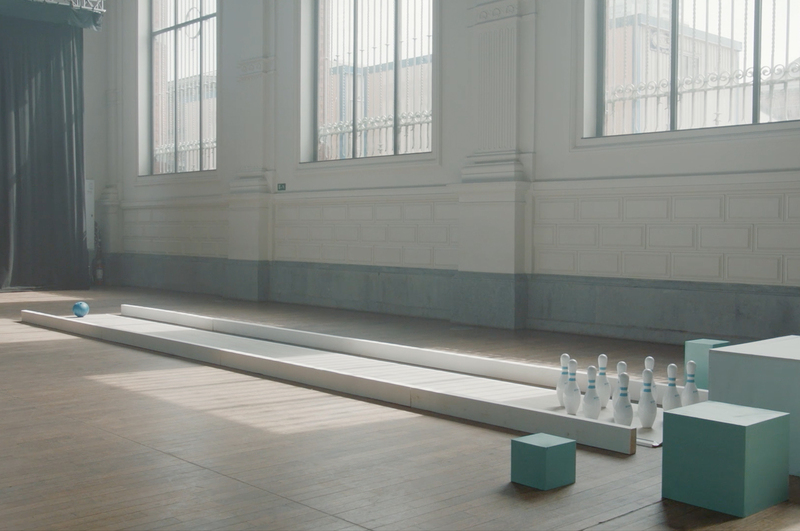 To make sure everything would be in line with the digital ambitions and branding strategy Bowling acts as the lead agency overseeing and aligning all projects on the brand level. 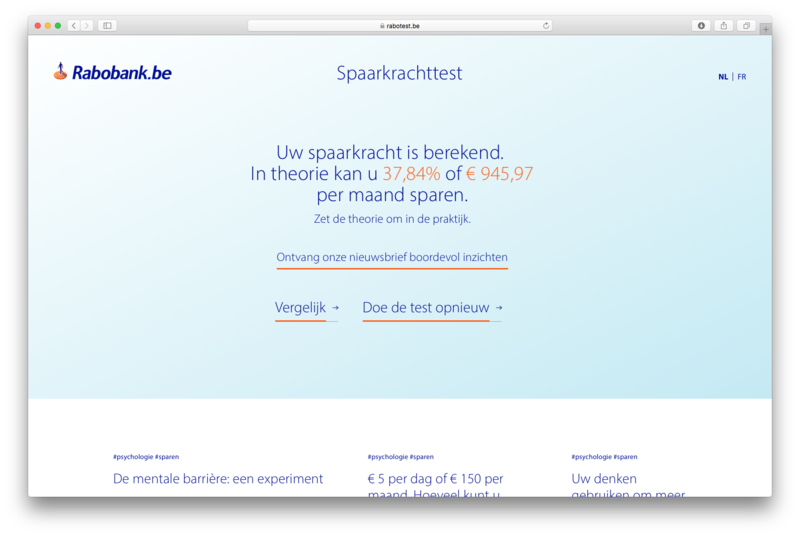 As savings purist we also decided to answer an age-old question “how much should I be saving” An online test helps you to figure that one out by visualizing your cash flow and comparing it with your peers. With success.